Why are clean birth kits needed? This year approximately 1 million women and infants will die of infection after birth. For every woman who dies 30 more suffer a debilitating illness or permanent disability. So how does CleanBirth.org work? 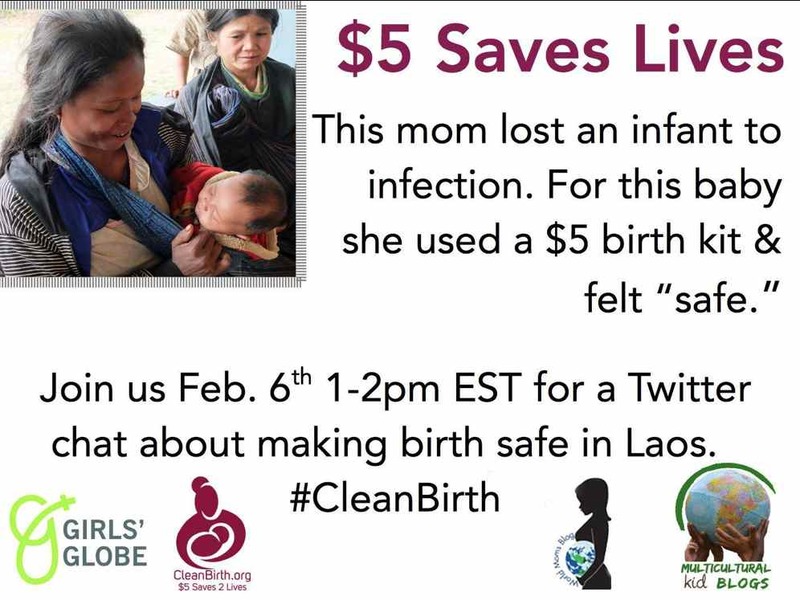 For $5 CleanBirth.org provides a mother with all the hygienic birthing supplies she needs to make birth safe. They also train nurses and Village Volunteers to teach mothers about safe birthing practices. 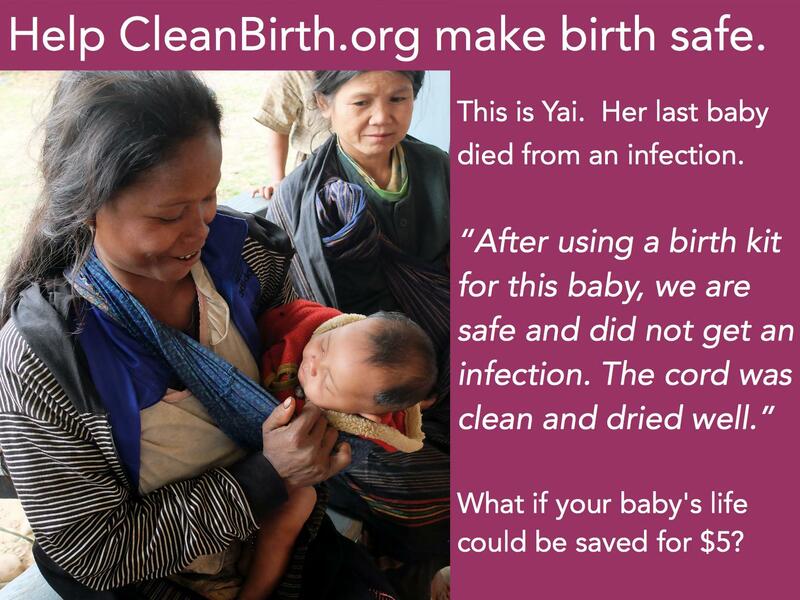 In Laos, 80-90% of mothers give birth at home and many without proper supplies to ensure a safe, hygienic birth. Here is where CleanBirth.org comes in. 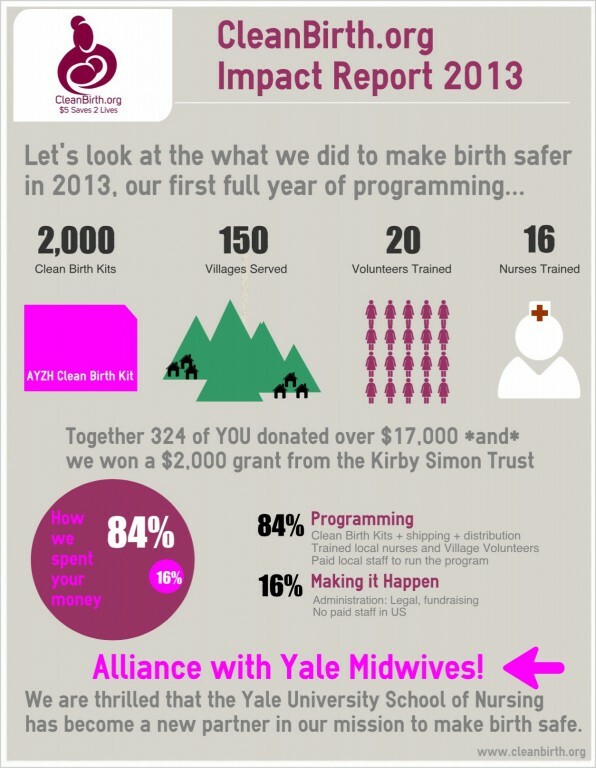 Why I find CleanBirth.org so remarkable is how incredibly easy and cost effective it is to save a life. Look at the story of Yai below. Her last baby died from an infection caused by an unsafe birth. CleanBirth.org was able to provide Yai with a hygienic kit for $5 before the birth of her next child which not only saved the mother but also her child. $5 can save two lives. Please share this post with social media and/or participate in our twitter chat (details below). Kristyn holds a MA, has run small businesses in Russia and the US, and has volunteered in Nicaragua, Costa Rica, Thailand, Cambodia, Laos and Uganda on projects related to women’s empowerment. After having children, Kristyn became an advocate for mothers in the US, as a doula and Lamaze educator, and abroad, as the Founder of CleanBirth.org. Thank you, Nicole for finding Kristyn and for supporting #CleanBirth!! Fantastic post! The statistics are astounding. Thank you for sharing this great work. I will check out the link on how to contribute. Yes it is really crazy. I realize how much we take for granted. I can’t imagine birthing my children alone with no help! Amazing what $5 can do to help save lives. Nicole, once again you given a thought-provoking post that informs and staggers. Congratulations on all your advocacy on behalf of children and women. Thanks Sally. The woman behind this organization is amazing. She is a mom of two children, a doula and has an MA from Yale in Foreign Policy and began this NGO all on her own. She is so impressive! This year approximately 1 million women and infants will die of infection after birth. For every woman who dies 30 more suffer a debilitating illness or permanent disability… For $5 CleanBirth.org provides a mother with all the hygienic birthing supplies she needs to make birth safe….That’s how you can save a life! Thanks for sharing information on this wonderful cause! And stay warm! Thanks Kathy! I’m trying to stay warm. It is still quite cold. Yes my kids just donated some of their extra money and was able to send 5 kits to new moms in Laos. Amazing what little money can do to help others! It is amazing ! Bravo to you as ever Nicole.